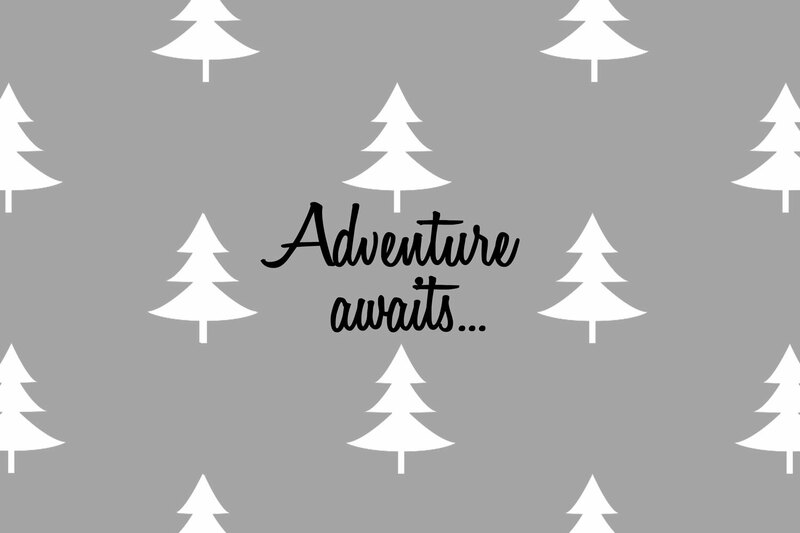 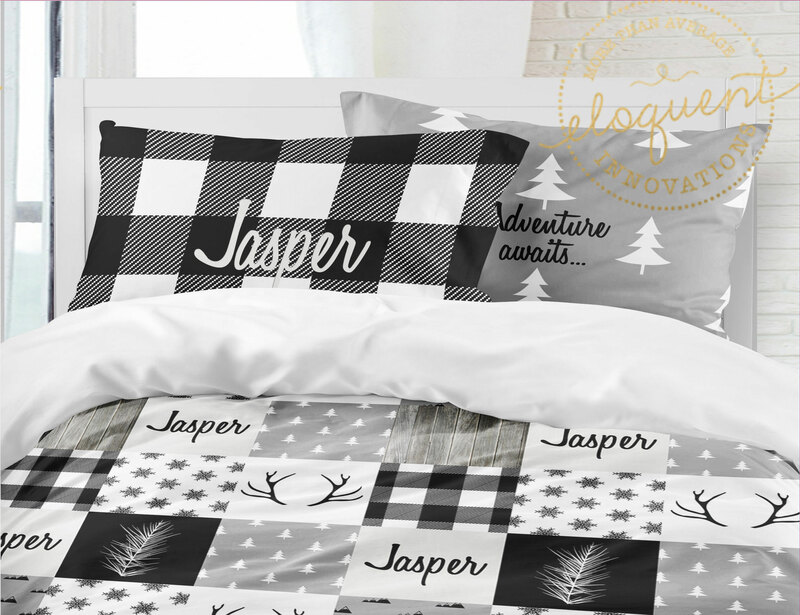 Woodland adventure awaits themed bedding set is great at Christmas or all year around. 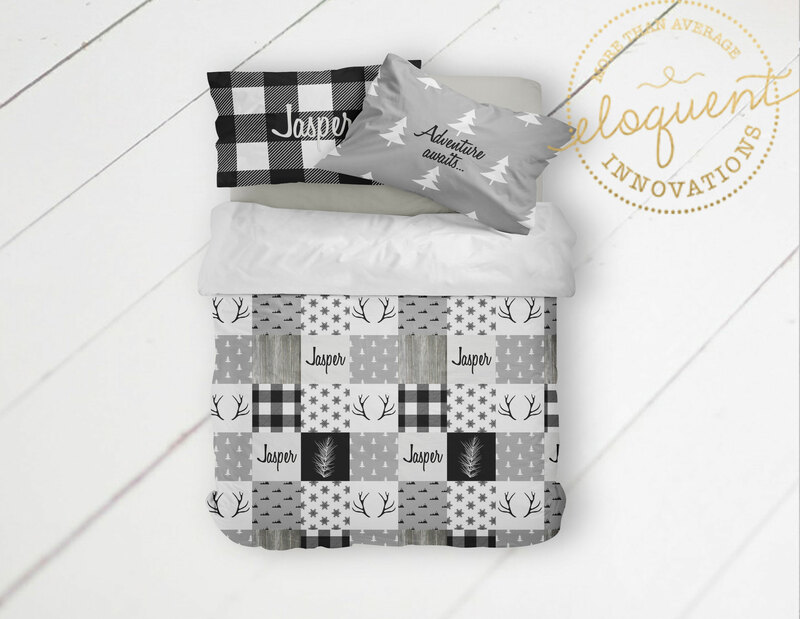 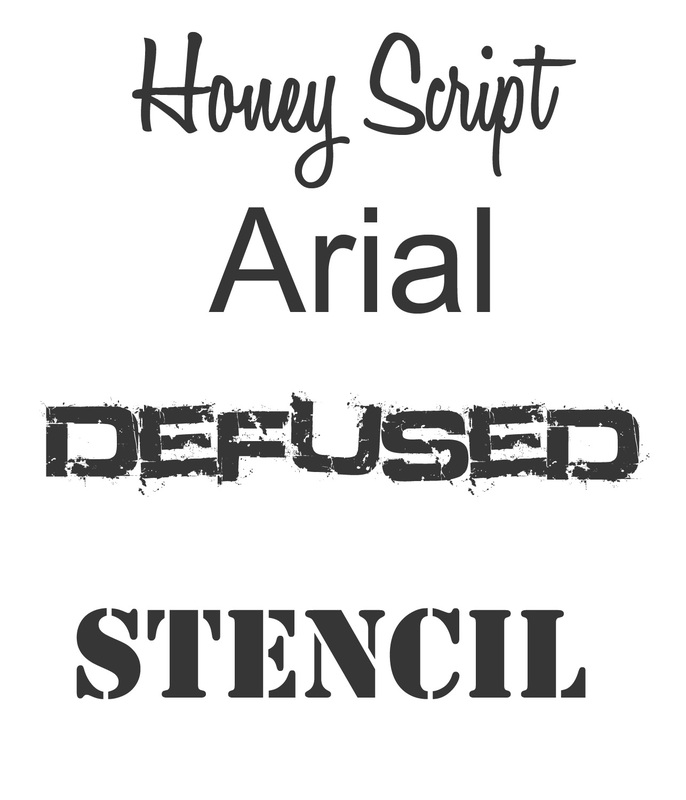 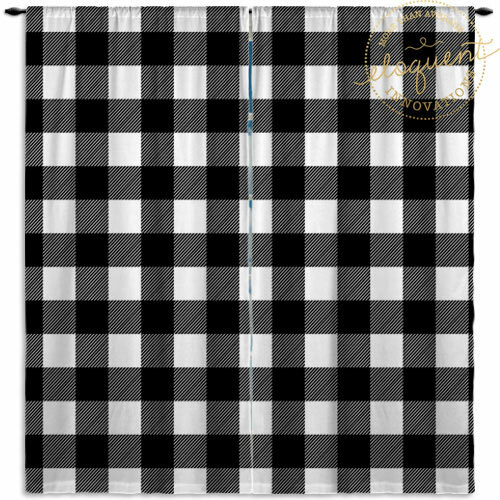 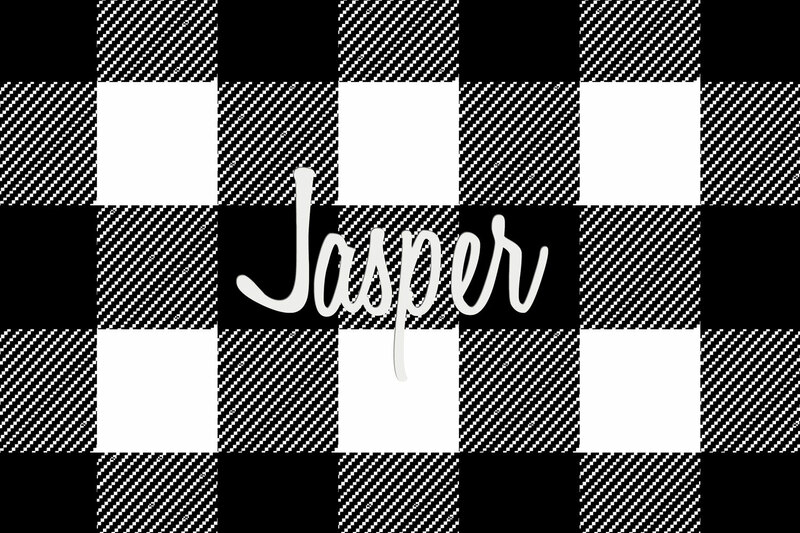 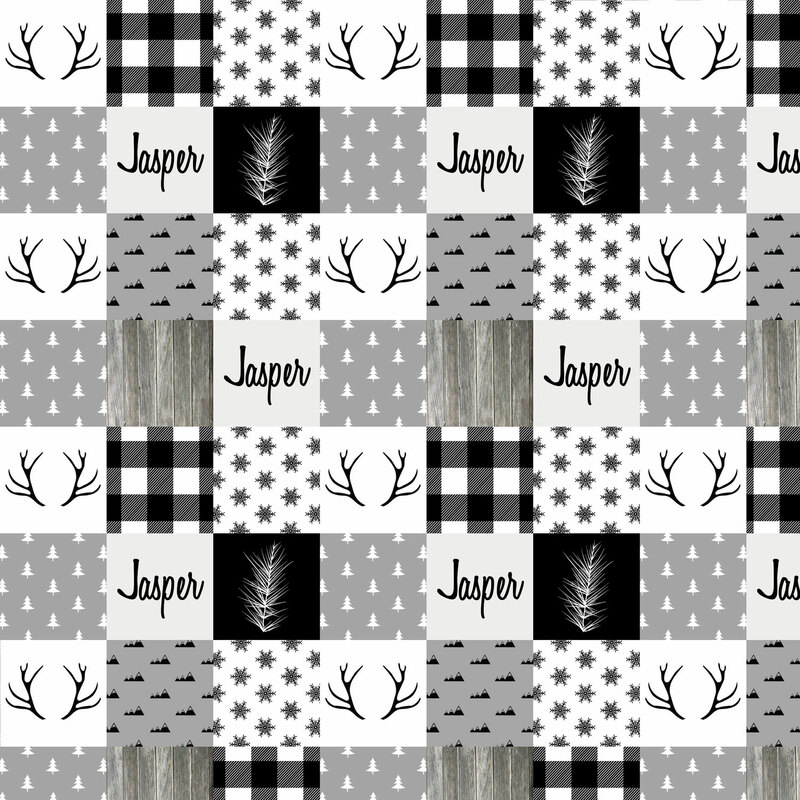 Black and white plaid and pillowcase as well as bedding can be personalized with first name or family last name. 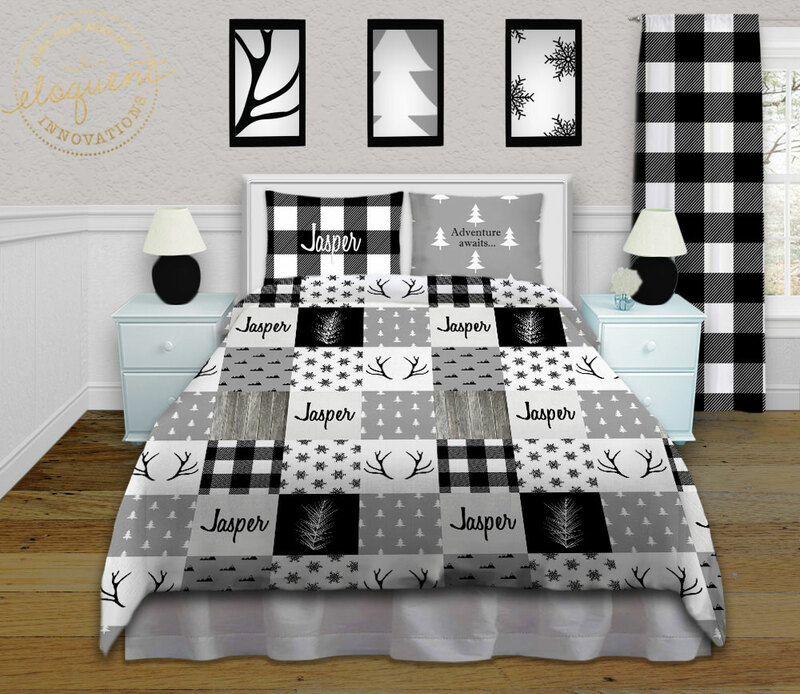 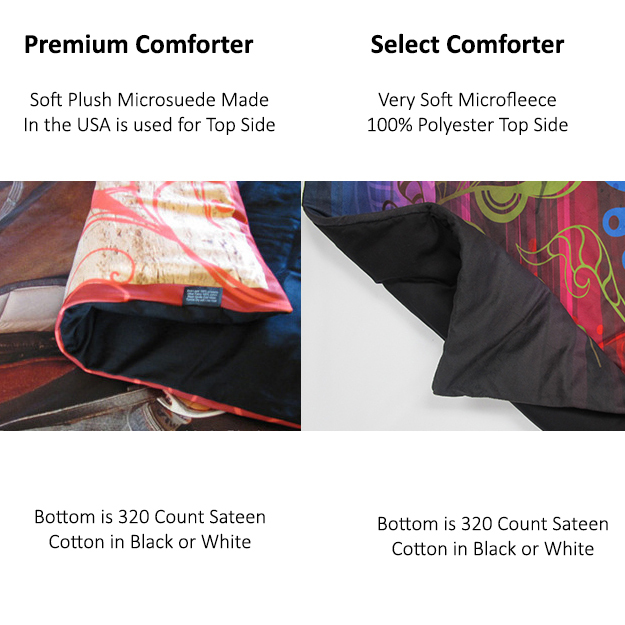 You or your guest would love to snuggle into this super soft bedding. 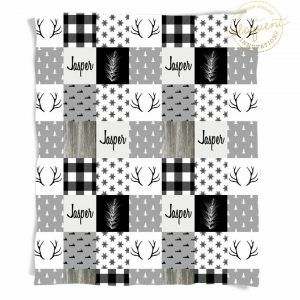 Fabulous from a Modern look to a lumberjack cabin in the woods this years set is versatile and great for everyone and every look. 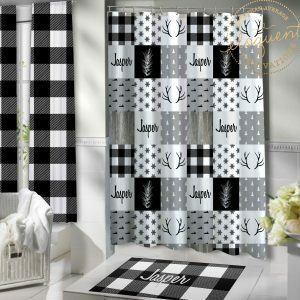 Need to get your house winter or holiday ready look now further then the 2018 Winter Collection!